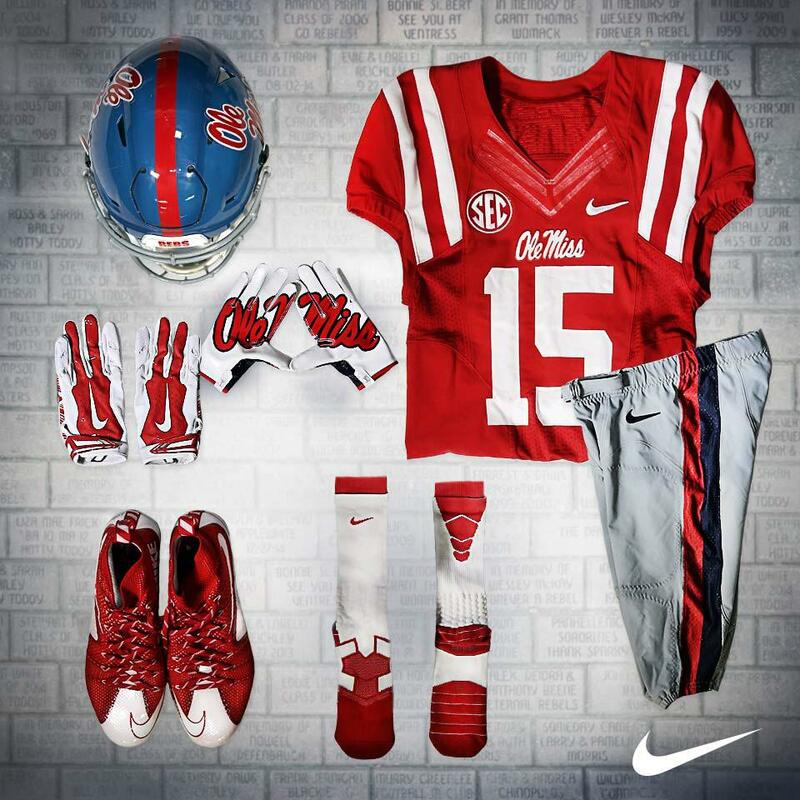 As previously announced, the Rebels will wear the powder blue helmets tonight as they face Vanderbilt. At the time of the announcement, we didn't know that the Rebels would break out the powder blue helmets for their trip to Alabama first. As it turns out, this will be the second straight week for the powder blues to be worn. Overkill? Possibly. 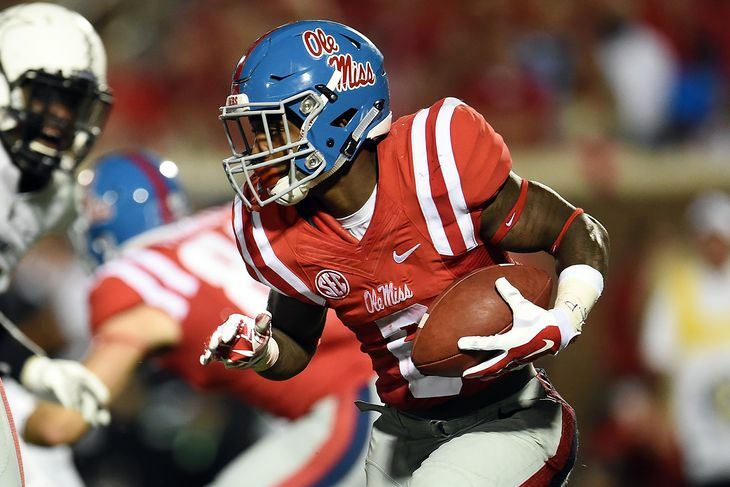 I like the powder blue helmets and like the idea of them being worn more than once in a season. I would prefer, however, that its appearances are more spread out in the future. It will not be a complete duplicate look, however. 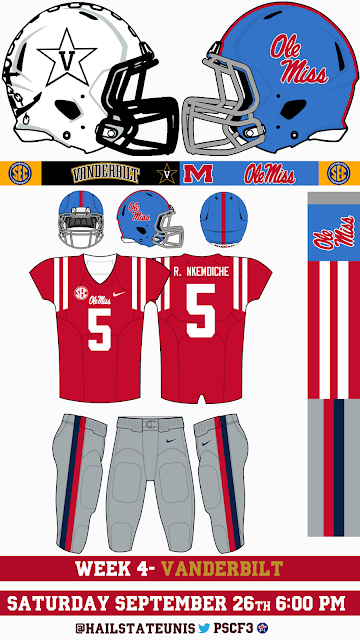 At home, the Rebels will wear the red jerseys with gray pants instead of the red-accented white jerseys with gray pants, creating the Rebels' fourth uniform combo in as many games this season.